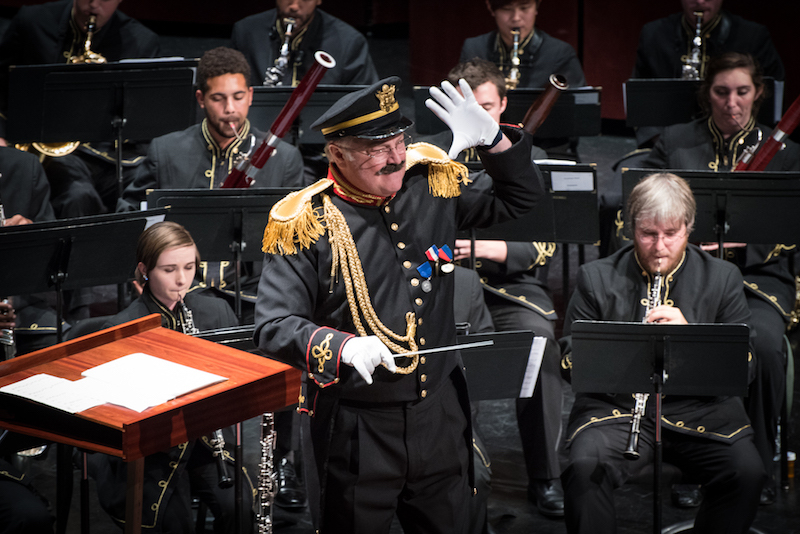 Dr. John R. Locke , Director of Bands and Founder & Director of the UNCG Summer Music Camp, will retire in December 2018 after more than 36 years as a member of the UNCG faculty and over 44 years of teaching in higher education. We invite friends and former students join us on November 17 and 18, 2018 as we celebrate Dr. Locke and his accomplishments. More details will be posted soon regarding Dr. Locke’s Retirement Dinner and the Alumni Band. All UNCG wind and percussion alumni are invited to participate in an Alumni Band conducted by Dr. Locke. Rehearsal will take place on Saturday, November 17 and the group will perform a short prelude to the Wind Ensemble Retirement Concert on Sunday, November 18. 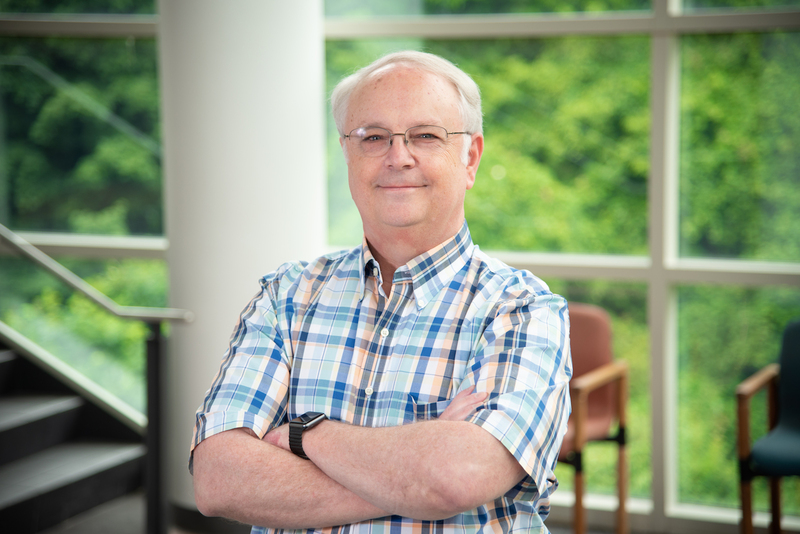 Throughout his storied career, Dr. Locke has had an immeasurable impact on thousands of young musicians through his work with the UNCG Summer Music Camp, university teaching, and leadership in numerous professional organizations. In recognition of his lifelong commitment to UNCG and music education in North Carolina, the School of Music has established the John R. Locke Scholarship Fund. Please consider making a donation to both honor his tremendous legacy and to help provide future students with a first-rate education at UNCG. We need your help to achieve our goal of raising the minimum of $25,000 which fully endows the scholarship fund. Your contribution may be made as a single donation or spread out over time in scheduled monthly installments. Any amount is extremely valuable, but we are asking you to give generously! Does your employer match your gift to UNCG? You can increase your gift by making use of your company’s gift matching program. We offer a convenient search tool on our Giving website to help you find out! Registration for the Alumni Band has now closed. Dinner will be served buffet-style. Price per person is $25.00 and includes both the dinner and cocktail hour. Complimentary parking will be available in the Walker Avenue Parking Deck. Registration for the Retirement Dinner has now closed. The UNCG Wind Ensemble is a highly select concert band of fifty performers majoring in music at the UNCG School of Music. Performers in the current Wind Ensemble are drawn from sixteen states, Slovenia, and Hong Kong. The ensemble has enjoyed a distinguished record of performance throughout its history. In January 1992, the UNCG Wind Ensemble performed “A Tribute to John Philip Sousa” to a capacity crowd of 2,700 at the Concert Hall of the John F. Kennedy Center for the Performing Arts in Washington, D.C. Twice, the Wind Ensemble earned critical acclaim from The Washington Post following concerts in the nation’s capital. 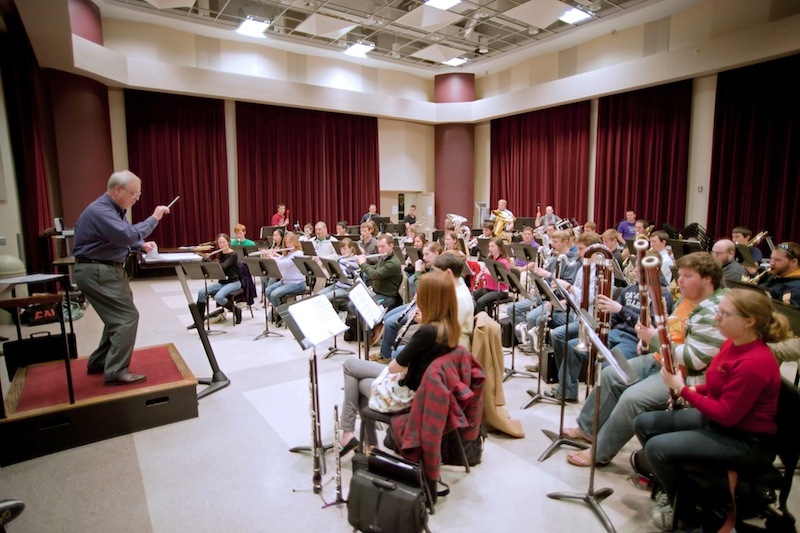 The Wind Ensemble has performed throughout the eastern United States in recent years including the first-ever performance, in 1987, by a North Carolina collegiate ensemble in Lincoln Center, New York City. The Wind Ensemble performed that same year in West Virginia, Virginia, Pennsylvania, and Washington, D.C. The Wind Ensemble has recorded nineteen commercially-available albums which have received widespread praise. In 1985, the Wind Ensemble performed a series of concerts with Pulitzer Prize-winning composer-conductor Karel Husa. In 1988, the UNCG Wind Ensemble performed in New Orleans, Louisiana by invitation of the College Band Directors National Association for the Southern Division convention. On a number of occasions, the Wind Ensemble has commissioned and premiered works from leading band composers. In November of 1990, the Wind Ensemble performed for the Southern Division of MENC convention. In February 1994, the UNCG Wind Ensemble performed for a convention of the CBDNA and NBA in Williamsburg, Virginia. In March 1999, the Wind Ensemble performed for the national convention of the American Bandmasters Association in Melbourne, Florida. In February 2000, the Wind Ensemble performed for the CBDNA Southern Division Convention hosted at UNCG. In 2006, the Wind Ensemble performed in The Music Center at Strathmore in Bethesda, Maryland, shared a concert with the United States Army Band “Pershing’s Own” in Arlington, Virginia, and collaborated with Karel Husa, David Dzubay, and Carter Pann in the performaces of their music, including two commissions. In 2009, the Wind Ensemble performed at the CBDNA National Convention at the University of Texas at Austin and performed additional concerts in Georgia, Alabama, Louisiana,s and Texas as a part of a week-long tour. The Wind Ensemble performed at the 2011 National Convention of the American Bandmasters Association and the 2013 National Conference of the College Band Directors National Association hosted in Greensboro. Most recently, the UNCG took a twelve day concert tour through the Czech Republic, Austria, and Italy, the highlight of which was a concert in Prague’s famed Dvořák Hall.